Can I be completey honest w/you??? I wouldnt write it down because it all seemed to big and to unattainable. And then I’d stop… I’d stop writing. I’d stop dreaming. I’d stop believing. I’d stop believing that God had a purpose for me that wasn’t just for me, He had others connected to it. I’d stop believing that God’s light is supposed to shine through me to lead people back to Him. There is nothing that is impossible for God and everything that He has put in me has to bring Him glory! I took the time to write down my goals and to break them down into steps. I realized that I was trying to “eat elephant whole instead of piece by piece”. I take the time to look over and read aloud my goals. I go over my affirmations and speak the Word over myself. I think about God and what His Word says about me. And I realized that not only am I doing this for me, I’m doing this for my children…I want them to be able to rise up and call me blessed! What are your goals? 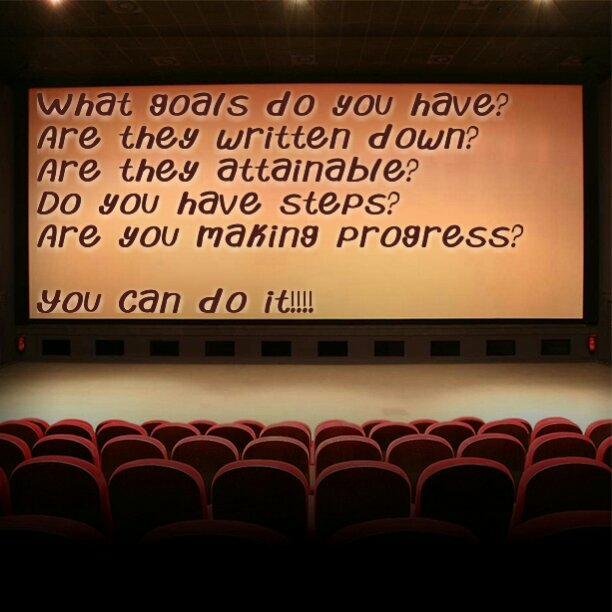 Do you have any tips in goal setting and achieving? Ok! Have you achieved all the ones you’ve set thus far?